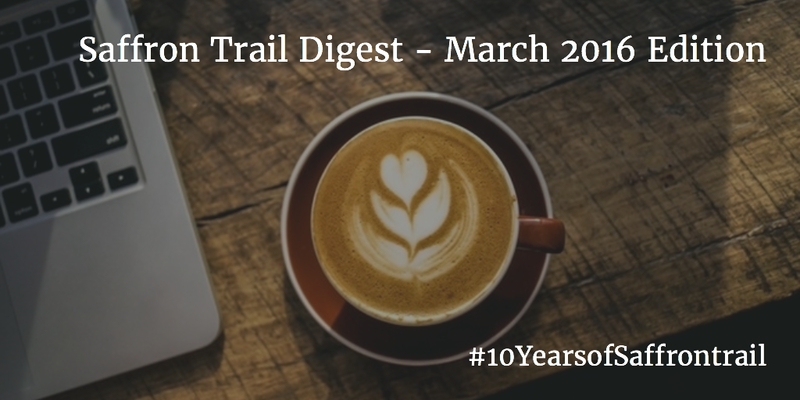 The March 2016 edition of the Saffron Trail Digest – talking about the plans for this month and talking about completing 10 years of blogging. Nearly 10 years ago, on 12th March, 2006, I created an account on Blogger. Kheer was cooking on the side. A generous pinch of saffron had gone into the kheer and our small apartment in Bombay was suffused with the aromas of saffron, making a trail in the air. And just like that, Saffron Trail was born. The first post was something along the lines of “Hello, can anybody hear me?”. I was stepping into a world of blogging with the very simple motive of documenting my cooking experiments, like a personal cooking diary. I was not MUCH of a cook then, not very knowledgable, not very skilled, definitely not very confident. Just about average. I didn’t even own a digital camera then. I had a laptop, and the inclination to cook for family and friends. 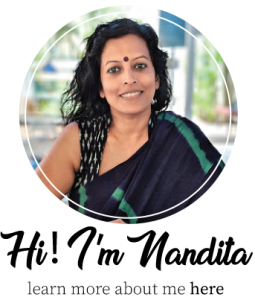 I borrowed the husband’s digital camera, which eventually became all mine A natural curiosity about the world around me led me to a few other food bloggers, Indians and those abroad. Slowly, we became a community, reading each others posts, commenting on them and encouraging each other. The community support played a very important role in keeping me going with the blog. Getting inspired by someone’s photos, falling in love with someone else’s writing style, and so on. There was never a dearth of inspiration or encouragement. There have been quite a few blogging breaks in the 10 years. Some short breaks and some breaks long enough, that fellow bloggers would write in to check on you. 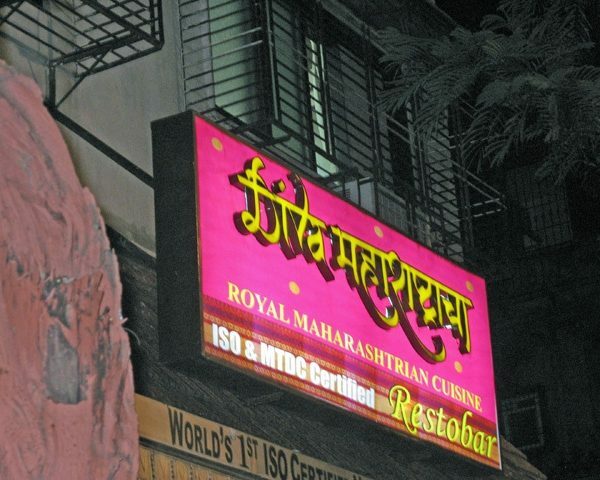 But there was something about foodblogging, that brought me back time and again, into its fold. For a person who gets bored easily, it surprises me that this hobby turned into a quasi-profession has kept me in its passionate grip for 10 long years. 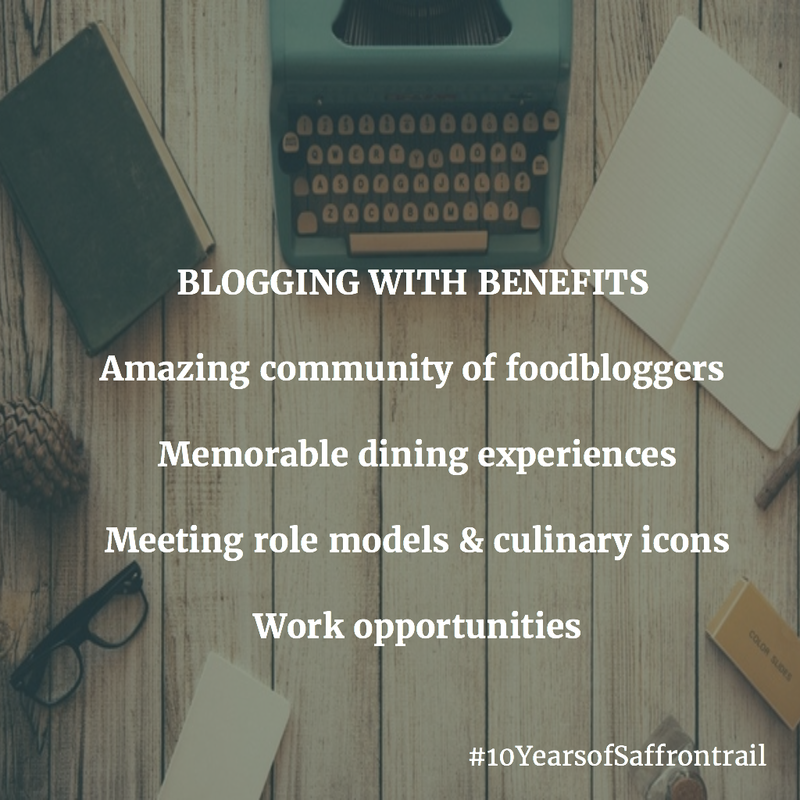 Blogging at Saffron Trail has give me some amazing friends, experiences and work opportunities, none of which would have happened other wise. 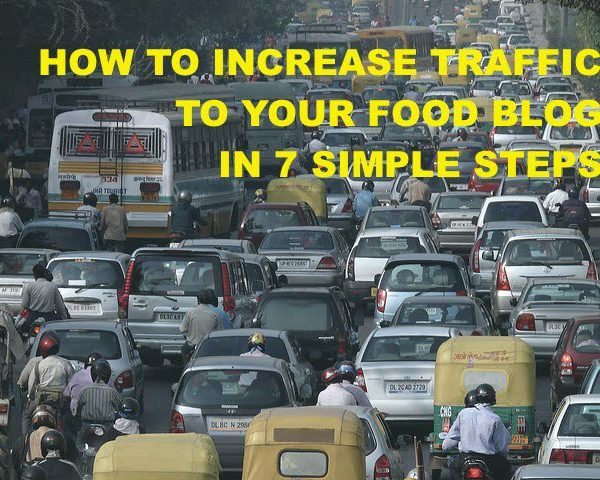 So I’m indeed grateful for that impulsive moment when I opened Blogger and created this blog. 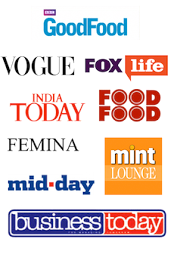 The food writing, the columns, the workshops, the speaking opportunities on prestigious platform, social media campaigns, TV show appearances, every one of them were an offshoot of this one decision – to start this blog, nurture it and keep at it. All of this year, I shall be sharing posts with the theme ‘TEN’. So keep your eyes open for the #10yearsofSaffronTrail hashtag. I also plan to have some interesting giveaways through the year as a part of the celebrations – so please follow my Facebook, Twitter and Instagram page for these announcements. I do hope you enjoyed the Valentine Special Boozy Recipes Series in Feb. The post on Overnight Oats was REALLY popular, and I hope to share more such simple healthy diet-hacks in the coming posts. I’m sitting in my room with the AC on full blast, as I write this to you, reminding me of the theme for March. 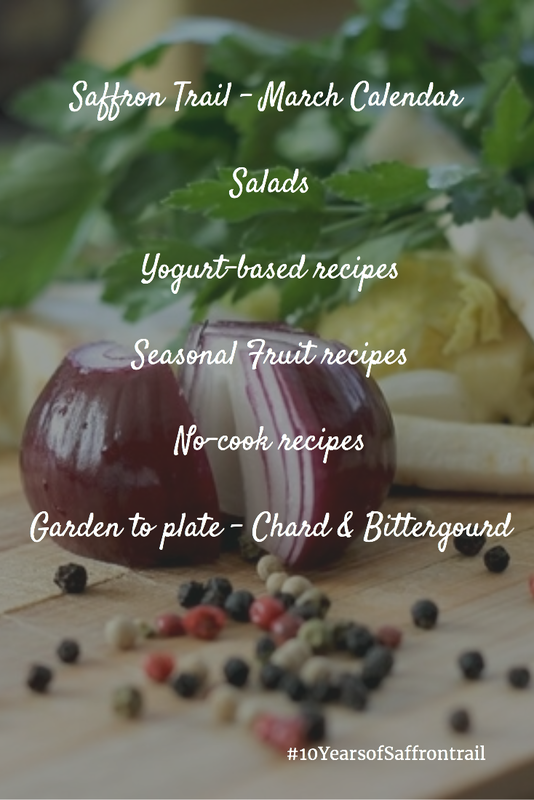 The focus will on summer recipes – salads, yogurt based recipes, using seasonal fruits. I have lots of Swiss Chard growing in my kitchen garden, so a couple of recipes featuring this green leafy veg should find their way here. I’m also expecting some ‘good news’ from the baby bitter gourd plant, so expect an interesting Karela recipe too! Do write to me if there’s something specific you’d like to see this month. Also, if you have been blogging for quite some years, I’d love to hear your story. What got you started, what keeps you going? Tell me! 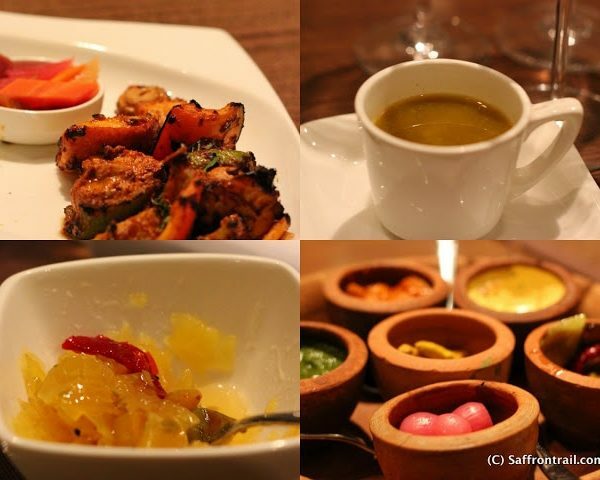 Subscribe to Saffron Trail Kitchen – New Video Every Friday! Congrats for those incredible 10 years of Blogging and inspiring NEWBIES bloggger like me !! 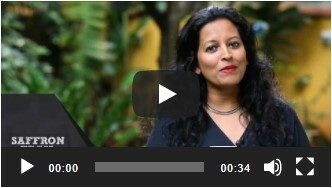 Hi Nandita. Congratulations! 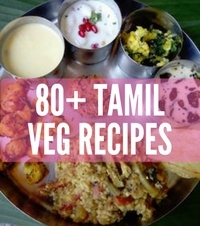 I started visiting your blog in 2008 when I was newly married and needed guidance/clear doubts to make tambram dishes without having to call up my mom everytime. And my foray in to baking started with your banana bread. thanks and good luck. Valueable for information. Is there any further you would recommened on this? @SK @Chatorii Ladki- thank you so much for your kind words. Much love!